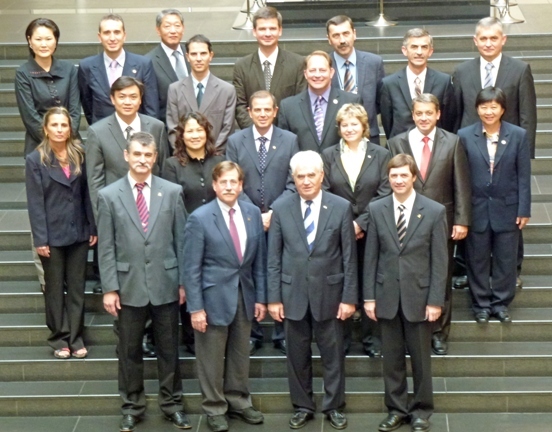 Referees from 16 countries will help officiate the FIVB Volleyball Women's World Cup 2011 in Japan. Biography Rogerio Espicalsky is one of the best referees in Brazil today. He has been a referee in national competitions since 1990, and on several occasions as the referee delegate. Since 2004 he has served in the Super League, the main Volleyball competition in Brazil. Internationally he has overseen competitions such as the American Cup, the Final Four and the Salonpas Cup. In 2009 he officiated in the FIVB Junior World Championships and at the 25th University Championship. In 2010 he was assigned in the FIVB Men's World Championship held in Italy.